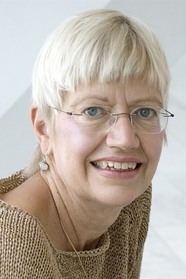 MARGARET WEIS is the longtime world-wide bestselling co-creator and co-author of The Dragonlace Chronicles, and recently, the Dragon Brigade trilogy. She worked at TSR, Inc., as a book editor for thirty years. She also is a publisher of role-playing games, including major franchises such as Serenity (Firefly) and Smallville. From New York Times bestselling author and leading fantasist Margaret Weis comes Kingmaker, the thrilling conclusion to the swashbuckling Dragon Corsairs series. The swashbuckling adventures of Captain Kate Fitzmaurice continues in this thrilling continuation of the epic tale of the Dragon Corsairs. The climatic fourth and final novel in the Dragonships of Vindras series, Doom of the Dragon, by Margaret Weis and Tracy Hickman. The third and concluding volume to Margaret Weis's spectacular Dragonvarld fantasy trilogy,Master of Dragons.